Murdeshwar is a coastal town on the shores of the Arabian Sea. Your dive centre in Murdeshwar is located just a few minutes away from one of its sandy beaches. 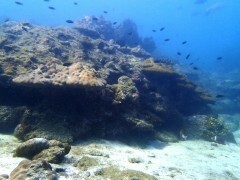 However, you will travel to the Netrani Island for your open water dive in the Arabian Sea. Located almost a 2-hr boat ride away from mainland Murdeshwar, the Netrani Island is a tiny heart-shaped island. Dive into the tropical waters around the island, rich in aquatic dwellers like the butterflyfish, triggerfish, eels and more. 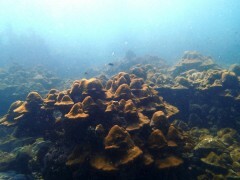 • Get introduced to scuba diving on this 40-min scuba try dive in Murdeshwar. • Undertake an 40-min open water dive in the inviting waters near Murdeshwar. Travellers are required to sign a liability and indemnity form before the scuba try dive in Murdeshwar. 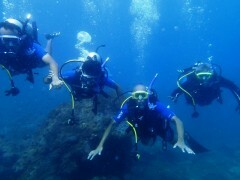 Travellers are required to adhere to instructions of the dive instructor during this scuba try dive in Murdeshwar. For cancellations made more than 3 days before departure of the scuba try dive in Murdeshwar: 75% refund. For cancellations made 3-2 days before departure of the scuba try dive in Murdeshwar: 50% refund. For cancellations made less than 2 days before departure of the scuba try dive in Murdeshwar: No refund. Travellers will receive an SSI certificate after successful completion of the dive. Travellers are requested to be punctual and report to the dive centre in Murdeshwar by 08:00 hrs. The tour operator reserves the right to cancel or alter the itinerary of the scuba try dive in Murdeshwar to ensure maximum safety for travellers as well as staff. No pick-up for this scuba try dive in Murdeshwar. No drop-off for this scuba try dive in Murdeshwar. 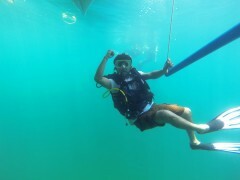 Scuba try dive in Murdeshwar! Report to the dive centre by 08:00 hrs. You will meet your instructor who will brief you regarding the dive. You'll travel from the Murdeshwar beach, located just a few minutes away from the dive centre, to the dive spot near Netrani Island. Here, you'll don the scuba suit and jump into the waters. Before going underwater, you'll do a quick training session with your dive instructor to know the essentials of scuba diving. 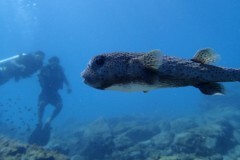 After the dive, return back to mainland. Your trip ends here. Explore the turquoise waters of the Arabian Sea.